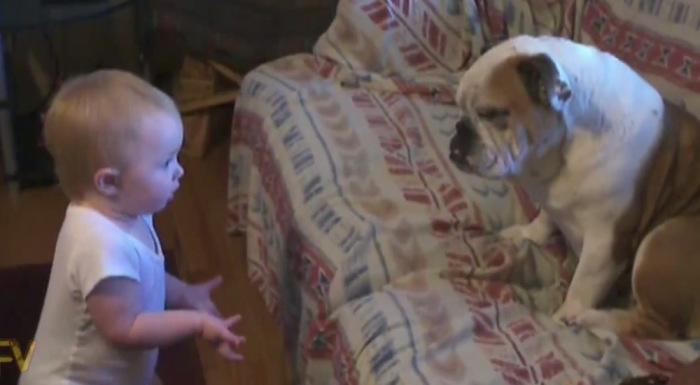 This baby makes quite a convincing case when laying out her argument before the family bulldog. We're not sure if she's lobbying for a spot on the couch or defending her pick to win the World Cup. Either way, a "Little Litigator" onesie probably wouldn't be a bad idea come Christmastime.